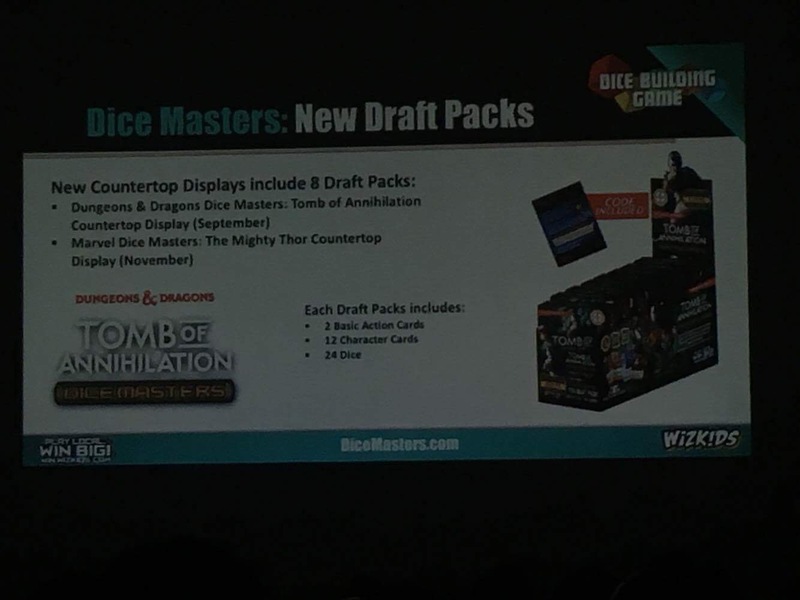 I’ve woken up this morning to an inbox full of screen caps of the presentation given at Origins during the Wizkids Fan Appreciation event. Pics were generously provided by my man on the inside; Andy England. Big day tomorrow bud! 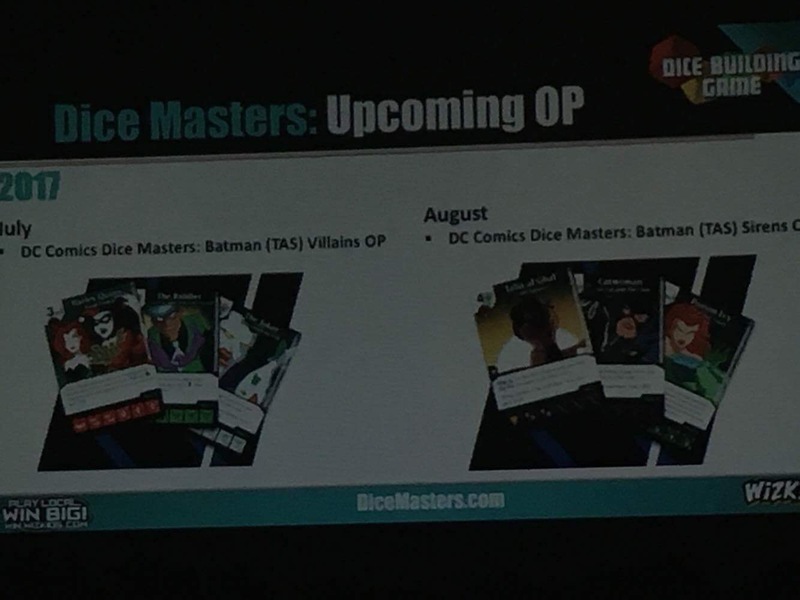 Looks like they started out some chat around the upcoming Batman: The Animated Series OP sets, which we had already been made aware of. These look great, I’m a child of the 90s who spent a lot of time with this cartoon. Not for nothing Wizkids (and Esdevium) if you’re reading – we’ve not seen the first set of these over here in the UK yet! 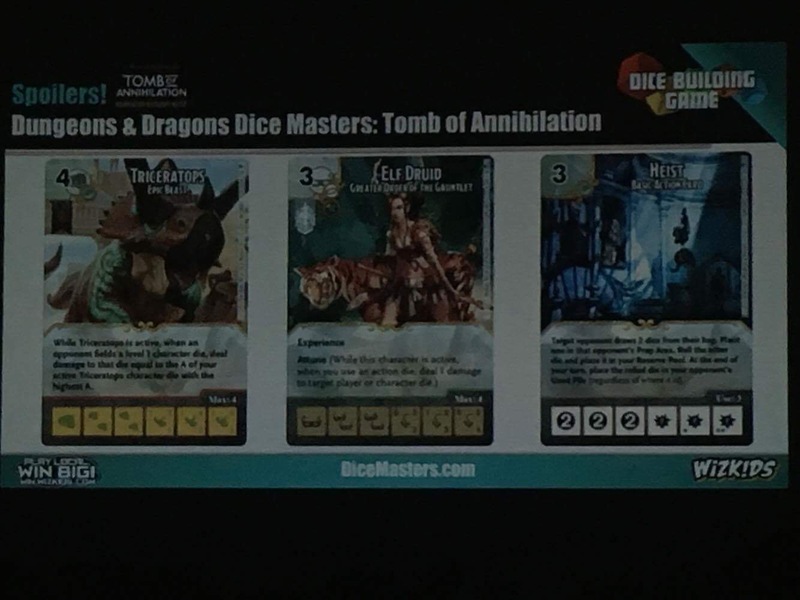 Next up Andy fired over the D&D: Tomb of Annihilation Spoilers they showed. While Triceratops is active, when an opponent fields a level 1 character, deal damage to that die equal to the A of your active Triceratops character die with the highest A. 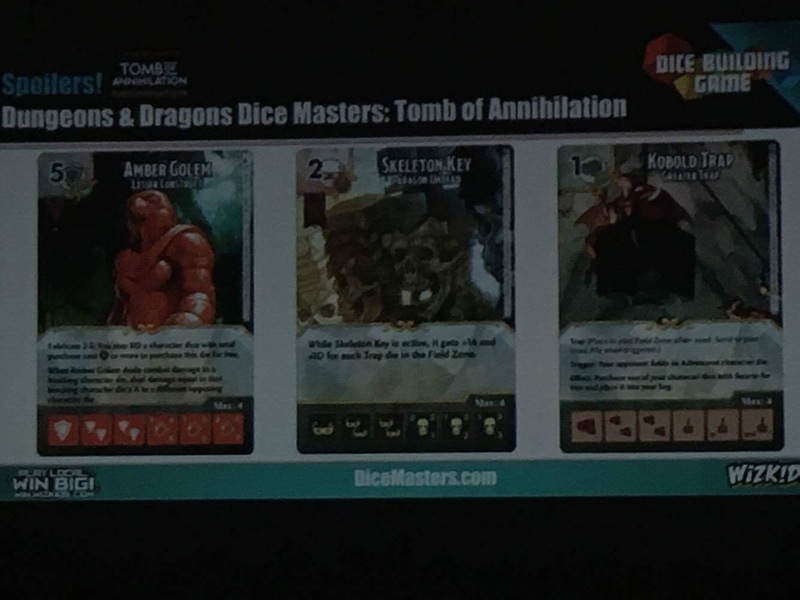 When Amber Golem deals combat damage to a blocking character die, deal damage equal to that blocking character die’s A to a different opposing character die. *I think that’s right – I had to squint quite a bit on that one. When Skeleton Key is active, it gets +1A and +1D for each Trap die in the Field Zone. Trigger: Your opponent fields an Adventurer character die. Effect: Purchase one of your character die with Swarm for free and place it in your bag. So… there’s some really interesting stuff in there. I’m really pleased to see the ‘Fabricate’ key-word get some more love, and the ‘Trap’ mechanic on the ‘Kobold Trap’ is going to be really interesting in the Draft format where the likelihood of ‘Adventurers’ being played is high. Great stuff indeed. While Captain America is active, your Sidekick dice gain +1D and Infiltrate. Once again – loads of interesting stuff going on there. ‘Infiltrate’ is going to need some clarification right out of the gate, which saddens me a little bit. Is the 1 damage in addition to the battle damage or instead of? When is a die officially “unblocked” – will return to the Field before dealing its combat damage? Hopefully this will all be cleared up in August. 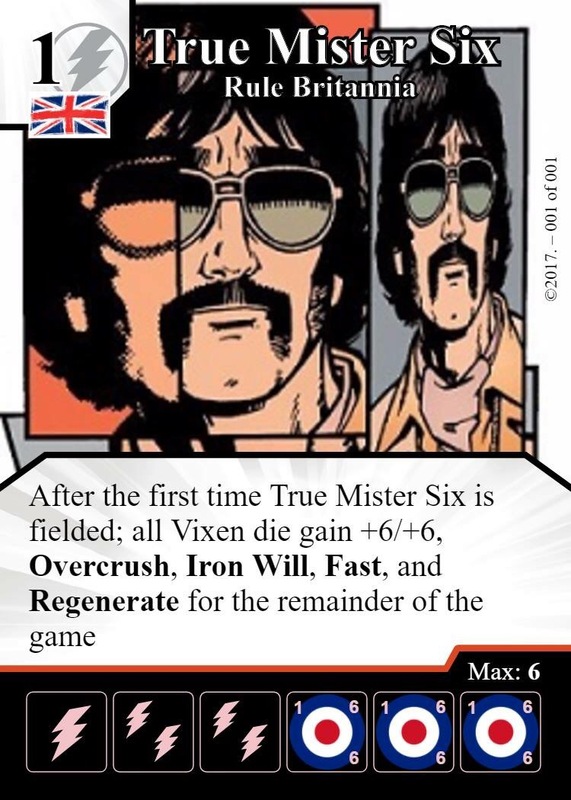 Andy also sent me over this preview of the upcoming Maximum Carnage Team Pack. I’ve, so far, been a little unimpressed by the Team Packs, and think that of the two releases so far (‘Doctor Strange’ and ‘The Defenders’) I’ve only ever maybe used ‘Wong’ with some ongoing consistency. There’s been one key reason for that – the purchase costs. So I’m pretty encouraged by what I can see here – look that those lovely, reasonable 4 purchase costs. Much better! Last in my inbox was the summary release schedule – seen in the screen shots below. Looks like we’ve got a pretty relentless schedule leading up to Christmas! There we are folks – everything I’ve had come in from my intrepid reporter out in Ohio at the Origins Game Fair.